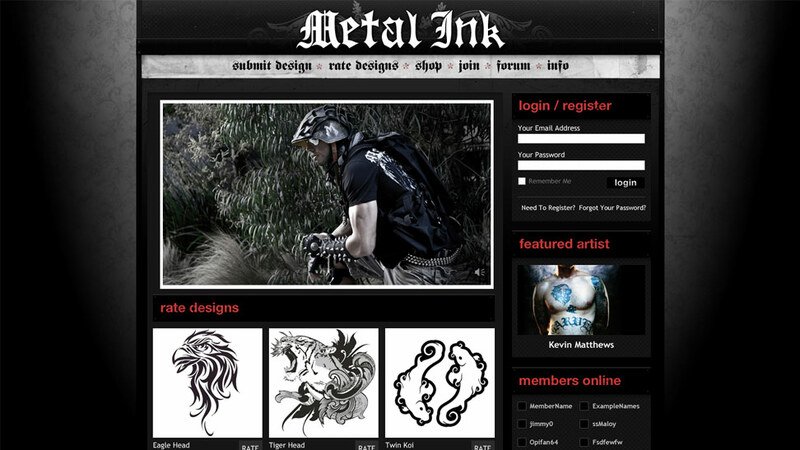 Metal Ink was the first and only crowd-sourced tattoo art community. Users were able to upload their tattoo-themed artwork to be voted and commented on by other members. 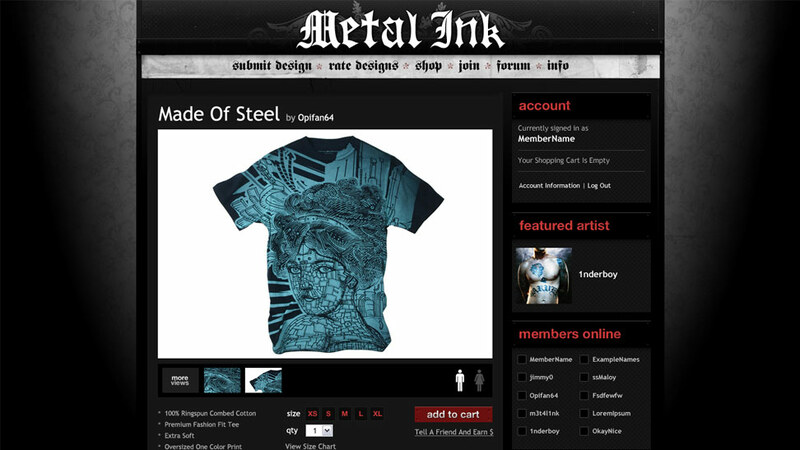 Winners had their designs converted to t-shirts which were then able to be purchased on the site. Deep Fried built out a customized user system that facilitated community functions like artwork uploading, user commenting and user profiles, but also tied in to the ecommerce portion of the site. Metal Ink was quickly embraced by the tattoo community, and hundreds of submissions were uploaded. The site has since closed down, but retains the honor of being the first and only crow-sourced tattoo art community.